Mihai (pronounced “me “ and “hi”) was born in Romania and graduated from Bucharest University in 1993. 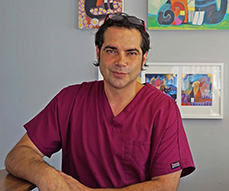 He moved to London in 1994 and worked for different veterinary practices. He was part of the emergency and critical care team of the Queen Mother Veterinary Hospital for 5 years. He opened Pets Clinic in June 2009 after being a resident of Walthamstow East London for 12 years. You might see other veterinary surgeons working in the Pets Clinic alongside Mihai. They are mainly intern veterinary surgeons seeing practice with Pets Clinic Surgery and preparing for academic careers in the UK. Pets Clinic is also an approved training center for veterinary nurses. 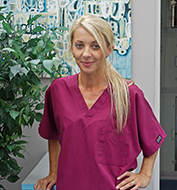 Daniela is presently following the courses necessary to become a qualified veterinary nurse. She is the proud owner of Jimmy, a lovely West Higland Terrier. Ms Demie Evans and Ms Zydrune Petraviciute are part of our reception team. They are both local residents in Walthamstow and part time students with Universities in London.